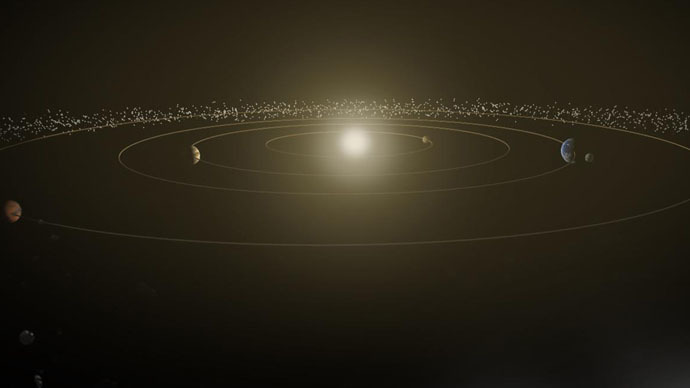 Riding Light, a 45-minute short film by animator Alphonse Swinehart, succeeds in giving viewers some idea as the incredible vastness of the Solar System. I suppose driving at the #speedoflight would make headlights useless. The video features a display that monitors the distance traveled and time elapsed since the journey’s start, as well as a window that ticks down the time before the next planetary visit. Although not grounded in any hard science as to what zipping through space would actually be like, it will certainly get attention from astronomy buffs. In any case, if the sensation of traversing the Solar System at the speed of light seems a bit too long, there is always the option to fast forward.